Omilia is currently the fastest growing company in the enterprise virtual assistant marketplace. 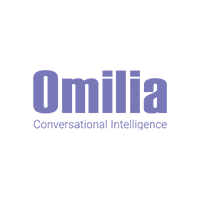 Omilia provides amazing customer experience with cognitive conversational self-service, on all channels, with one single platform. Omilia’s Omni-channel Virtual Assistant platform provides a seamless human-like end-to-end conversational experience for self-service across all channels. By leveraging the Omilia technology stack large enterprises can transform their call centers into a next-generation digital experience, say goodbye to complex IVR menu trees and poor customer service, and deploy Chat Bots on any digital channel, all from the same exact application.